Tailgating Fab - Lorian Platinum was added to your cart. Through the beer bongs, burgers and belches that go hand in hand with tailgating, a woman still needs to look fabulous at that blacktop barbeque. And what better way then adding a pair of sparkling studs with your favorite team's jersey?! 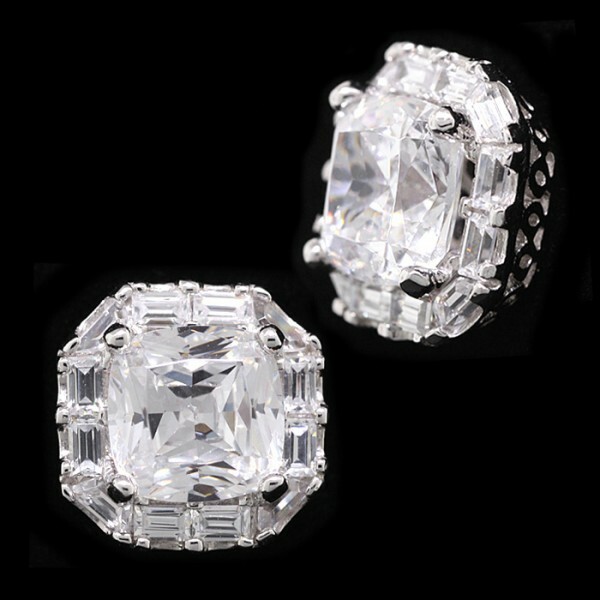 These 2.32 carat earrings are sure to add a little femininity while your man is belching the alphabet.